I'm back from the Cook Islands, and thought I would share this picture with you. I thought it would be applicable. 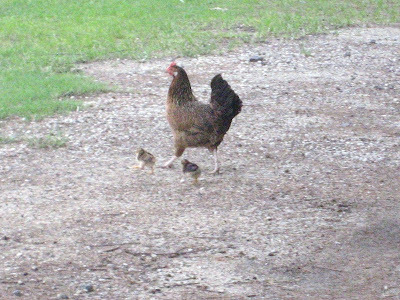 :) We saw this a couple of times on the islands - mother hens walking around with their chicks. Sarah, we may classify this under "too cute to eat."